For a few weeks, or several years we have the ideal storage solution for your personal effects. Deployed on over 3.200m2, our warehouses enable an easy but ultra-secure access. No matter what needs to be stored, from the biggest furniture to the smallest object, our steel containers are safes for your furniture and personal belongings. 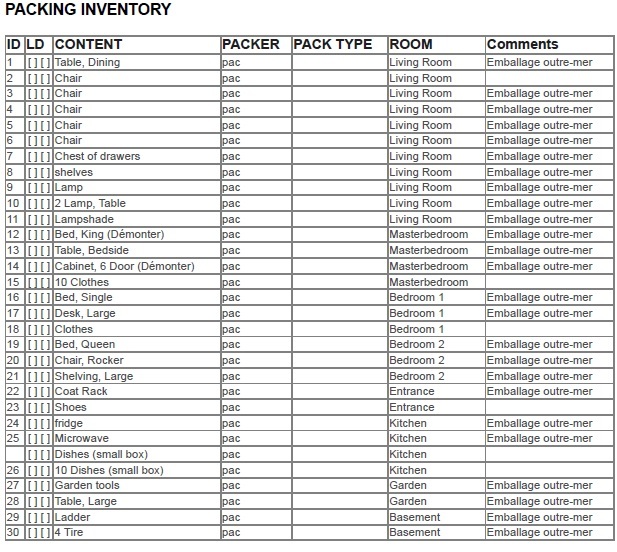 An electronic inventory of your goods is generated by Voxme inc. This high-performing software allows you to consult at any time on our website the quantity and the nature of the stored goods. This IT system allows you to access all information relating to your account, and correspondence is also available “on line”.